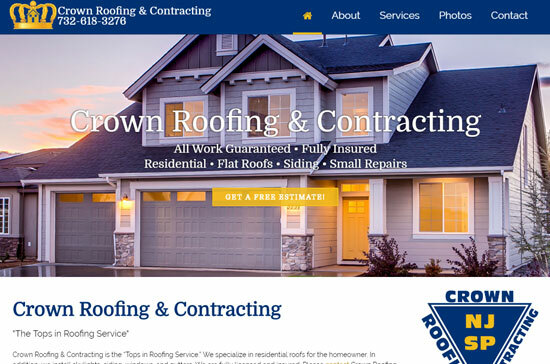 We are happy to announce the launch of our latest site for Crown Roofing & Contracting. Crown Roofing specializes in residential roofs for the homeowner. In addition, they install skylights, siding. windows, and gutters. Their site was designed in HTML5 with WordPress as a content management system, has a front end visual editor for easy updates, and is 100% responsive for mobile devices.